Sunday the 6th of September,This morning we started out fishing with Andrew and Jordan, Natalia, Zach,and Aaron all from South Florida along with their good friend Chelsea from Mobile Alabama. We started out trolling and catching some bonitos and kingfish. Ok it was time to go for some good eating bottom fish so in came the trolling and out came the bottom dropping rods. Bottom fishing also produced some good fish with a few great eating snappers. As we got back to the dock we cleaned the fish and loaded up our after noon trip. 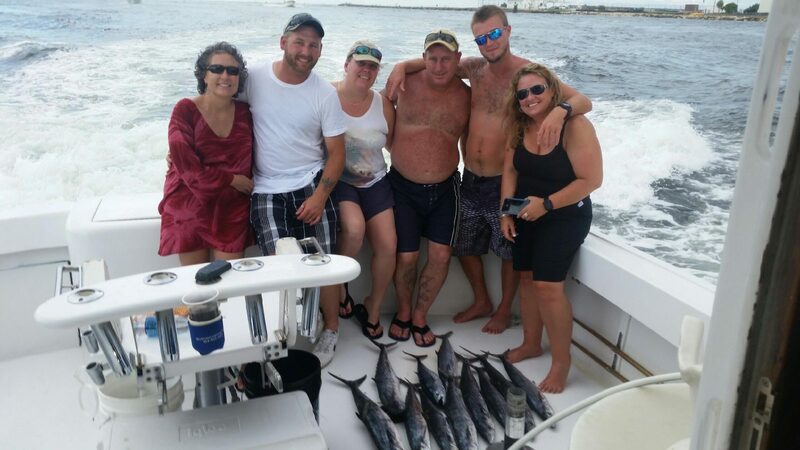 We had Tracy, Jeff, Steve, Guy, Michel and Nicole ready and eager to give their luck a shot at some deep sea fishing off the coast of Fort Lauderdale. Once again we went right to trolling on the reef with 2 planner boards running about 45 feet deep and. 3 baits skipping across the surface. Well this. Afternoon the kingfish were snapping and we ended up with a box full of kings and a boat full of laughs and good times!!! 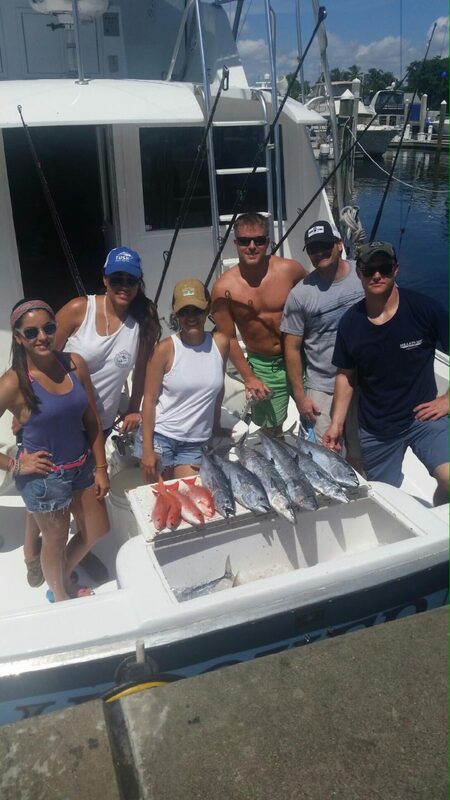 Thanks again to all of our anglers for fishing with us aboard the Hooked Up off the coast of Fort Lauderdale.